Imagine a daily planner that will help you plan every part of your life: From finding your life purpose, crafting a vision, setting big goals, creating a step by step plan, making a vision board, setting priorities, scheduling appointments, creating positive habits, reprogramming your mind for success, drawing down ideas, staying focused and making use of the law of attraction to make all your dreams come true. Why Most People Fail At Manifest What They Desire? A research at NASA has proven that it takes an uninterrupted period of up to 30-days to reprogram your unconscious mind. So, If you skip 1 day in between you have to restart. Can you imagine how many times you did that in the past? This is why most people fail. That’s why we designed this planner to help you succeed and stay consistent. 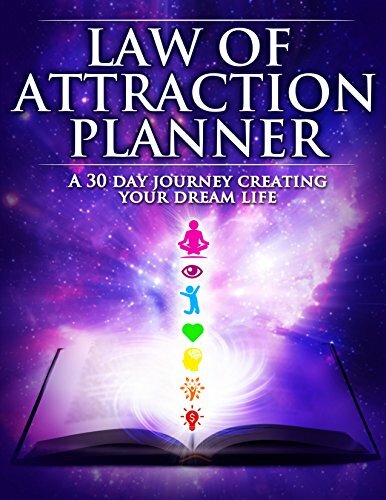 This planner is the ultimate 30-day life planner that will help you reprogram your mind, stay on course so you can see your greatest desires unfold before your eyes every day.